Word searches created by students can be a powerful learning tool. I’ve heard teachers and administration say that they are not educational, and I have even seen them banned from a campus… believe it or not! Leave the teacher’s edition on the shelf. I do agree that word searches can sometimes just be a “time filler”… but, really sometimes the time just has to be filled. True, but just kidding. Honestly, I am not a huge fan of copying a word search out of a teacher’s edition or even the teacher making them on website and then printing for students. Completing word searches with a purpose is all together different! For the most part, I use “student created” word searches. I give students blank word search templates. The kiddos will create their word lists and then hide the words. At another time, I allow students to trade and complete them. Use word searches to reinforce whatever words you are teaching in your classroom. There are times that students will make the list of words all on their own, like if they are pulling important vocabulary words from a nonfiction text. Or, sometimes I provide my students with the word list, such as their weekly spelling words or sight words. Using word search templates is one of my very favorite ways for students to practice spelling words. Students just LOVE doing a friend’s word search. Typically, I have students finish a friend’s word search when they have extra time or on Friday mornings. They seriously look forward to this all week!! 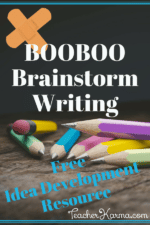 These templates can be used in so many different ways, and work with just about ANY WORD LIST! 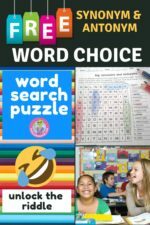 Need some word search templates for your classroom? 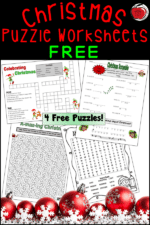 Grab your FREE word search templates.